Nov 16 - Sale! On our Nutrify Soil Amender. Grab your bag NOW while supply last!!! May 10 - Mother's Day Sale! On now till Sunday midnight. 12% off on everything. Use coupon code momday12 during checkout. 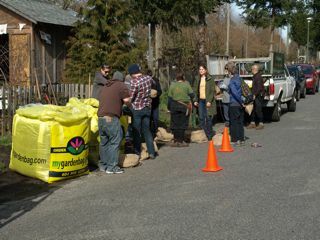 April 23 - Urban Edibles farm in Richmond receives a bag of Mulch! What a great place to get your organic veggies, eggs etc... Check out what they have to offer at their roadside farm stand sales! http://www.urbanedibles.ca/index.html Where are they? 7200 Steveston in Richmond (just east of Gilbert road). Another super cool local find to check out. March 25 - Why choose MyGardenBag? Questions to ask your soil provider: Do they know whats in the soil? Do they know where it comes from? Has it been tested? Do they care about the quality of the topsoil of are they just in the delivery business. Ask any gardener why their yard looks so great and they'll tell you its the soil! We don't purchase soil from local landfills, our Botanical blend is custom made for us by an agronomist with a PhD in soil science. Our Nutrify soil is the same product used on 50% of BC golf courses, there is no comparison with the landfill products sold locally. We could cut corners but we won't, simply because our product is superior to anything being else being offered. Read some of our testimonials and you won't be disappointed. Superior soil, meets or exceeds BC landscape standards. No confusing extra delivery fees, one price and thats it, easy online ordering. Delivered where you need it, not just at the end of the driveway. March 20 - We have a new bag return depot! WIG (Western Independent Greenhouse) in Burnaby! WIG mission statment " Premium products are our goal, anything else is unacceptable "
March 15 - Do you live in White Rock or Surrey? We're happy to provide the same great service where Daves Dirt Bag left off. If you need Soil, Top soil, Mulch or rocks delivered, order from MyGardenBag.com you wont be dissapointed... MyGardenBag - delivery of Topsoil, Soil, Soil Amender, Mulches, Barks, Stones to your door in our big white cubic yard bags. March 9 - Plan to attend a great silent auction in support of Queens park pre-school March 9th at the Riverside Quay in New Westminster. We've donated a free bag of Mulch including delivery in support of this community school. Entrance before 8:00pm – please use the main escalator at the River Market. Jan 29 - Save on Mulch and Botanical blend soil! Sale ends Feb 26th, Delivery must be taken by Feb 28th. Order early and save. Sept 1 - Fall news... not much happened, nothing were noting anyway, other than lots of Happy MyGardenBag customers. Thanks! June 9 - We're the soil provider for YYoga's new studio on 4th and Cypress. They're opening soon! May 25 - Another great garden centre to return your empty bags. 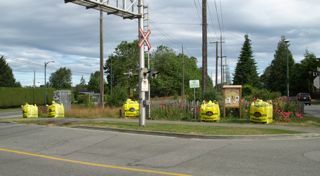 We're pretty excited to partner with Phoenix Perennials in Richmond BC as our latest bag return depot. 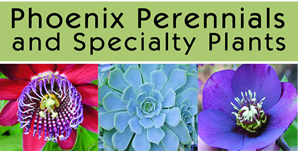 Did you know that they have one of the largest selections of perennials in Canada? From the rare and unusual to the basics they have what you're looking for along with an amazing knowledable staff. Stop by 3380 #6 rd in Richmond (between Bridgeport and Cambie on #6) and take a look for that special perennial. March 15 - Coming March 25th (thats a week this Sunday) we'll be attending the Potato Fusion Festival at the http://theworldinagarden.wordpress.com/workshop-series/ All the super soil of course donated by My Garden Bag, and all proceeds of the event go towards supporting project Somos. This is our second year being in involved and it was heaps of fun last year, see you there! Potato Fusion. Sunday, March 25th, 2012. 11AM & 12:30PM. East Blvd and 57th, accross from Choices Market. $20/workshop. Proceeds benefit Project Somos. Can’t make it? Pick up a potato fusion kit for $15 between 3-7PM on Monday, March 26th or Thursday, March 29th. March 13 - We're proud to support the Glen Eden centre with a donation of 2 yards of Botanical blend soil. The students are just getting ready to start a few raised garden beds and needed some soil. I remember a similar project from my elementary school days and it was fun! Glen Eden is a primary care, day and residential clinical program that is structured as both a clinical and educational facility. Its goal is to treat, as well as teach children, adolescents and young adults who, because of unique combinations of medical, psychiatric, and developmental problems, are not functioning adequately and have not shown any success in school based special service programs. A bit of construction going on next door but some greenery will spruce that up quite nicely. 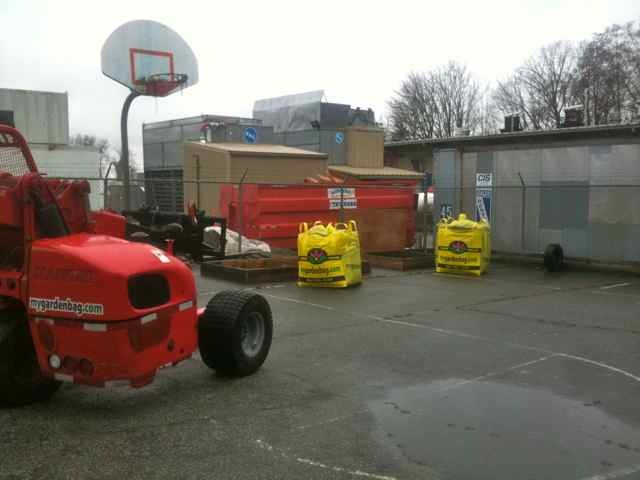 "What I like about having it delivered in a bag is that if it is raining the bag can be closed so the mulch does not get excessively wet and end up spilling or seeping everywhere. It is just a lot easier to handle and I can tackle the job as time allows." Feb 27 - We're looking to partner with your Garden Store! 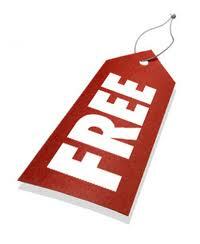 Do you have a complementary retail location in Surrey, Delta or Coquitlam? 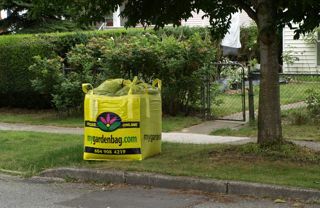 Give us a call and become the next bag return depot for MyGardenBag. 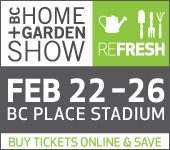 Feb 14 - BC Home and Garden show February 22-26 come see us! Feb 1 - We're now Better Business Bureau accredited! What does that mean to you? It means you can be confident that we have met a comprehensive set of BBB standards and are willing to stand behind those values as a respected business in the community. Click on the BBB link at the bottom of any page on our site for more info or click here to see the BBB accredited business standards. Jan 10 - Ah the sweet smell of new soil! We've introduced a new blend of soil for 2012 called "Botanical Blend"! In our ongoing efforts to continually source the best soil available for your garden we've added a new blend of premium garden soil. Why the change? Because we want to make sure you're getting the best soil possible. I spent the last 4 months touring soil suppliers within 500klms to make sure we're selling the best soil available and we found only one supplier who was just as fussy as MyGardenBag. Whats the difference I liked your previous soil offering? Our previous soil is a close second and we never had a complaint but why be content? Our standards are very high and we sell only the best of the best. Personally I wasn't happy with the amount of raw bark content in the soil which ties up available nitrogen during the decompostion process (that nitrogen should be available for plant growth). Our new blend is refined just a little bit more, the ingredient quality is higher and most importantly its quality is consistent. How is it possible to make better soil? Things like higher quality ingredients, sharp grinding knives, standards for temperatures, a concrete processing pad (hard base without scooping up unrefined material), double screening, cleaning the screen out more often all these little things add up to a better product. A strict regimen for ingredients is the start of the process, no construction wood waste, no chemicals etc... The sand portion is screened to a uniform size and is washed prior to blending. All of these improvements provide great soil ready to go while of course meeting and exceeding BC landscape standards for soil. Dec 15 - Ok it's official we're growing our business (no pun intended...) to include more gardens. Our delivery coverage areas now include everything west of 176th St. We look forward to meeting all our new clients in Surrey, Delta, White Rock, Tsawwassen and Ladner. Note delivery days for the above areas are scheduled for every Thursday only at this time. Merry Christmas! Nov 5 - MyGardenBag is donating a bag of Soil amender ($169 value) to the live auction this coming thursday at "Plan Bee" It's a great night at the Ridge Theatre where you can watch the award winning film, Queen of the Sun. Upon arriving guests will be filled with food and drink, have an opportunity to speak with folks in our community working with bees, pollination, etc., and then settle down in the theatre for some great speakers, a great film (8pm), a live auction with awesome stuff and then leave with a very sweeeeet gift bag full of goodies! Tickets are just $29 with proceeds going to FarmFolk CityFolk and The World in a Garden. Generously sponsored by Festival Cinemas, the Vancouver Courier, Whole Foods Market and MyGardenBag. Tickets available at the theatre or any Whole foods market. - Put down mulch or soil amender. You can do this in spring or fall, but it could be a job you think best done in fall. The idea is to put down a soil-amender that will enrich your soil or a mulch that will protect it as well as add nutrition. A good way to get top quality mulch or soil deliver is to use the service of Gordon Van Vliet at Mygardenbag.com. 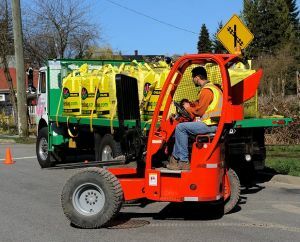 He delivers large one-cubic-yard yellow bags ( they measure 3-by-3-by-3 feet and hold just over a yard -27 cubic feet of material) of your preferred mix right to your driveway. You can dig into it as time permits and it can be stored to one side if you want to wait a while and it won’t be damaged rain. For more information go to mygardenbag.com. 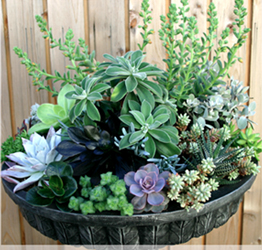 Aug 10 - Congrats to E.Peelstreet the winner of the MyGardenBag Giveaway contest. We delivered her free cubic yard of topsoil yesterday. Have fun! Aug 2 - We're proud to support The Edible Garden Project with two yards of Botanical Blend soil. We delivered the soil to a laneway scoot thru project which was formerly a gigantic mess of weeds and is now a meandering path filled with a variety of fruit trees. Awesome. Aug 1 - Contest Winners are E.Peelstreet in New Westminster and V.Lai in Vancouver. Ms.Peelstreet had some great suggestions on how the bright yellow bag would be displayed and Ms.Lai had a great idea to promote our products when school begins in September. Their home is across from a school on a busy corner with lots of drive by traffic. Both great suggestions and we'll post pics as soon as the bags are delivered. Thanks for all the entries. June 25 - We've donated another bag (2x) of Bark Mulch to doggonefarm.ca as they prepare a previously beetle infested lot into a super veggie garden! Check out the corner of Blenheim and 41st Ave. If you know the area you know this corner house... It's looked pretty shabby for a long long time but with the new veggie garden, WOW! It's like a whole new place. That has to be the biggest veggie garden I've seen in a long time...What do they do? Check their other website vancouvercityfarms.com for info. Basically they'll come to your yard, build and grow a super veggie garden, you take what you want and they sell the rest at farmers markets. Very cool idea! June 15 - MyGardenBag donates a yard of Botanical blend soil to City Farmer demonstration garden at Maple and 6th. City Farmer is the Vancouver demonstration garden and this month they've created a new raised bed planter using our Premium garden blend soil. Drop by (its free) and ask them what they think of our soil! May 20 - Come see us this Sunday at the Kits Farmers Market! The Kitsilano Farmers Market is located at 2690 Larch Street at 10th Avenue, in the parking lot of the Kitsilano Community Centre. See you there. 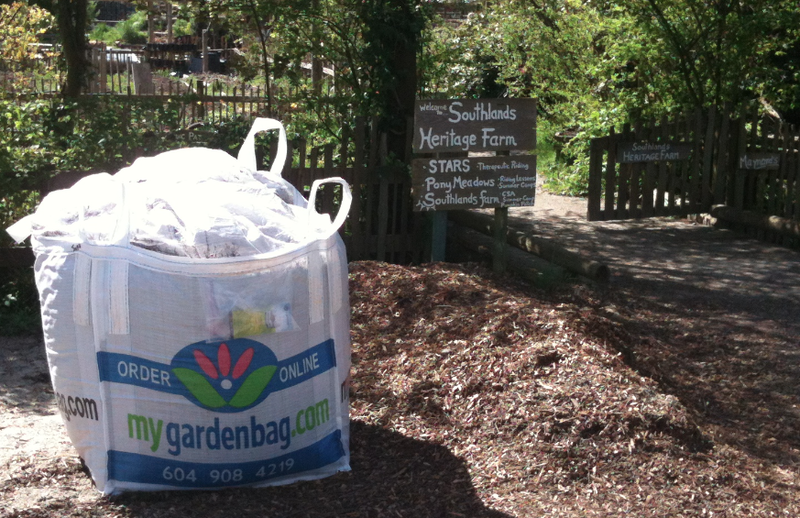 May 11 - Our newest bag return depot is KJM Country Garden Centre. 7226 Blenheim Street, Vancouver (in Southlands area). A family owned and operated garden center situated on a farm-like setting within the city of Vancouver. Stroll amongst horses, chickens and goats while checking out their huge selection of plants. Even if you don't have a bag to return this is one of those best undiscovered garden centers, loads of stuff and super friendly family run. 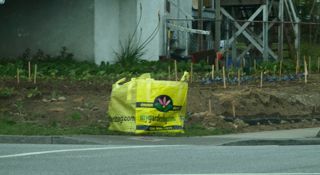 May 6 - My Garden Bag supports Habitat for Humanity with 12 yards of top soil. 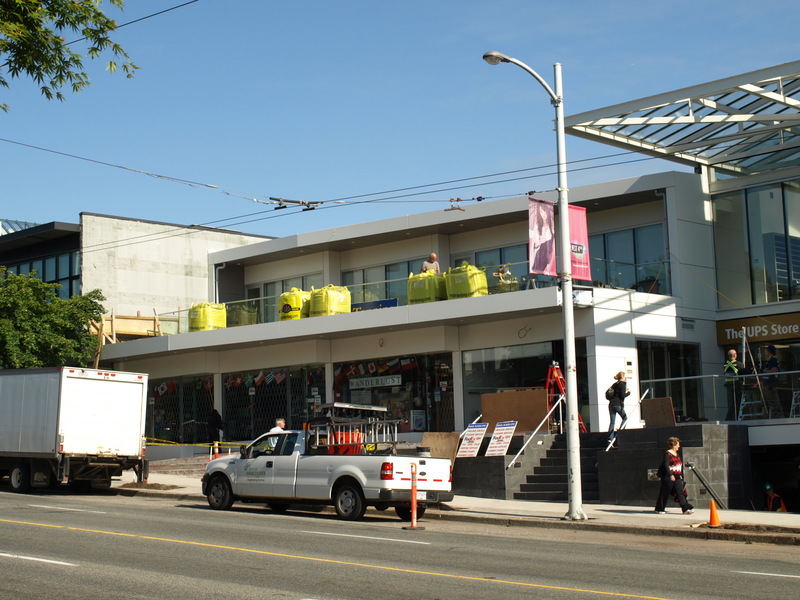 Habitat Vancouver is in the process of finishing 5 more townhouse units in Burnaby on Government st. Check them out and see how you can help with your time or donation. May 5 - It's Mothers day this Sunday! How about surpising your Mom with a great big bag of garden products from "MyGardenBag.com" You can either order online and we'll arrange a delivery date when you're ready or you can purchase a gift certificate and Mom can use it anytime in the next 6 months. Happy Mothers Day everyone! April 22 - MyGardenBag donates a bag of Botanical Blend soil to "The World in a Garden" We'll be joined by our friends at Growing City & Choices Market who support The World In A Garden’s ongoing efforts to green Vancouver and create a more sustainable tomorrow. The garden will be open to neighbours and friends for a garden tour, garden planting, soil spreading, a BBQ hosted by Choices and a KALE SALE (fresh, sweet kale straight from the garden ground). April 17 - Return your empty MyGardenBags at Hewer Home Hardware! April 7 - My Garden Bag is excited to support the City Farmer demonstration garden with the donation of a cubic yard of our Premium Rainforest blend soil. CIty Farmer has been promoting gardening and composting for 33 years! If you've never been to visit the City Farmer demostration garden come by and check it out. City Farmer teaches people how to grow food in the city, compost their waste and take care of their home landscape in an environmentally responsible way. Come visit the Vancouver Compost Demonstration Garden, 2150 Maple Street. See a compost toilet, green roof, cob shed, organic food garden, permeable lane, natural lawn, waterwise garden, worm and backyard composter and more. Check out the video Michael Levenston made while we delivered the soil. March 9 - Potato Fusion, We're thrilled to be the Soil sponsor for this years Potato Fusion! Come check us out March 20th at the garden at East Blvd and 57th Ave (right across from Choices market along the train tracks). Get ready for a fun filled time learning about organic potatoes and lettuce! and take your burlap sac home and grow some organic veggies this summer. Everyone receives their own potato kit. Registration required, see "The World in a Garden" website (http://theworldinagarden.wordpress.com) for details and times. What is Potato Fusion? It's being hosted by "The World in a Garden" with proceeds going to project Somos (establishing eco-sustainable community for orphaned/abandoned children in Guatamala). Learn more about "The World in a Garden" here. Learn more about project Somos here. See you on the 20th of March as we fill your burlap bags with premium soil. March 7 - How can we help your charitable organisation? (church, independent school, charity, community gardens, fundraiser, silent auction etc...). We're still looking to sponsor someone for the month of March! We love to support our local community and try to donate at least one bag of Topsoil or mulch a month. Please contact us through the contact page and make your proposal. MyGardenBag is a business that's committed to giving back to the community while helping make Vancouver even more beautiful than it already is. Look forward to hearing from you.